Each Christmas the Shine Centre run a campaign to support the services and programmes we run for children and adolescents with autism. 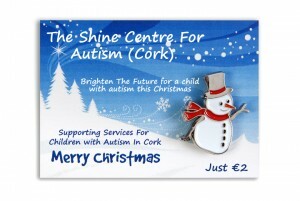 This year we are running a “Snowman Appeal” where we ask the general public to buy a snowman lapel badge for €2 and show their support for children with autism in Cork. We are actively looking for retail outlets to support the fundraising campaign by taking boxes of Snowman badges from us. 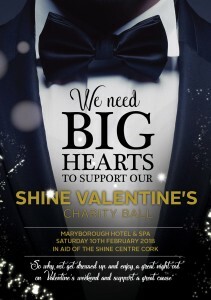 If you think that you can help please contact Kieran on (021) 4377052. 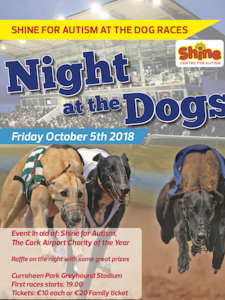 The operation of this fundraiser is totally self-contained as the pin badges are supplied with a display box with an integrated moneybox so staff need never handle any cash from customers who wish to donate to the campaign. 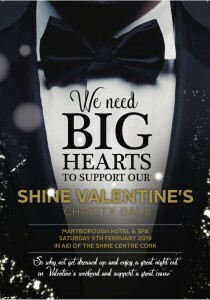 We are asking Cork based businesses to support the “Shine Snowman Appeal” by taking boxes of the badges for their counter spaces and till areas. It is then completely up to the individual if they wish to contribute, there is no hard sell and the campaign will not interfere in any way with your busy Christmas trade. Shine will also have somebody to manage the boxes and will remove/replace them as required. The boxes contain 50 pin badges each and are really bright and attractive with a Christmas scene and will add to the festive feel in the area in which they are displayed. We would be very grateful if you would consider taking a box (s) for your premises for the upcoming Christmas season and show your customers and the wider community that you actively support charitable causes in their area. 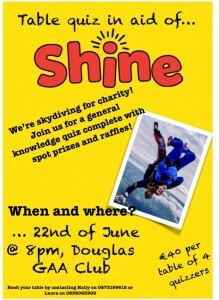 This is a campaign run by Shine and all funds raised will go directly to Shine services.